Inexplicably, the quality press has not yet invited me to name my top reads over the last twelve months, but no matter, I’ll do it anyway. There is no attempt to rank or compare, or to identify one top title – just to share some of this year’s reading pleasure. 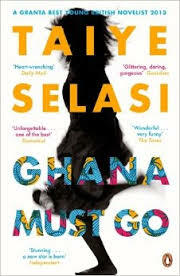 First, Taiye Selasi’s gorgeous Ghana Must Go. Drawn to it at first just for the title, I was blown away by the opening chapter, and as the narrative pulled back from that minute detail, that moment by moment evocation of a man looking out at his garden, realising that he is about to die, the breadth of the locations and the expanding cast in no way diluted the power of the writing. I did not realise at first that I was reading it aloud in my head, the way I read a novel in French, rather than hoovering up a page in one go as I normally do. In this case it wasn’t in order to understand it, but in order to feel the rhythm of the text. This is a poem as much as it is a novel. John Williams’ Stoner had massive word of mouth before I got round to reading it. I was not disappointed – of course the academic milieu that it describes is very familiar to me and that helped to draw me in. 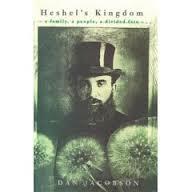 But the emotional punch it pulled was unexpected and I rather regretted reading it in public. I’ve written elsewhere about the final Resnick novel, Darkness, Darkness, from John Harvey. I read a lot of detective novels – it was a year of long train journeys – and discovered new writers, notably Ann Cleeves, Laura Lippman, Louise Doughty, Belinda Bauer and Anne Holt, as well as enjoying new stuff from existing favourite Cath Staincliffe. Her Letters to my Daughter’s Killer is powerful stuff. 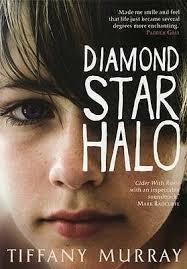 Tiffany Murray’s Diamond Star Halo rocked my world, and Sugar Hall chilled my spine. I read the whole Game of Thrones series, and am eager for more. Other favourites from writers new to me were John Lanchester’s Capital, Patrick McGuiness’s The Last Hundred Days, and Sue Eckstein’s Interpreters. I will seek out more by all of them, though very sadly, Sue Eckstein’s early death means that there is only one more from her to look forward to. Danny Rhodes’ Fan inspired me to reminisce and ruminate about my relationship with the game of football, and with Nottingham Forest in particular, and Caitlin Moran’s How to Build a Girl both made me laugh uproariously, and moved me to tears. It prompted a blog too. As well as discovering new writers, I had the delight of reading more by some great favourites. Lesley Glaister’s Little Egypt, Stevie Davies’ Into Suez, Liz Jensen’s The Ninth Life of Louis Drax, all very different, and all on top form. 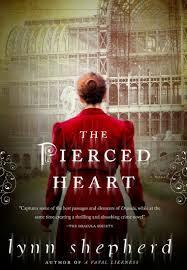 Lynn Shepherd’s latest literary mystery, The Pierced Heart, played beautifully with the Dracula myth, and the set up – a young man travels into the heart of Europe, an older, darker Europe, is welcomed by a mysterious Baron in a castle full of alchemical texts and other, more troubling collections – not only echoes Bram Stoker but reminded me of Michel Butor’s Portrait of the Artist as a Young Ape, about which I hope to write something in due course. And oddly there were echoes of other aspects of The Pierced Heart in Stephen King’s excellent Revival, despite the very different setting. My most recent Doctor Who blog touched on these themes. 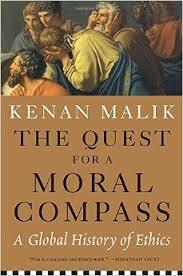 I didn’t expect Kenan Malik’s The Quest for a Moral Compass to be such a page-turner. I expected it to be enlightening and stimulating, sure, but it’s a huge achievement that it was genuinely difficult to put the book down. I wanted to find out ‘what happened next’, how through the centuries and the continents the human race grappled with the big questions of what it is to be good. 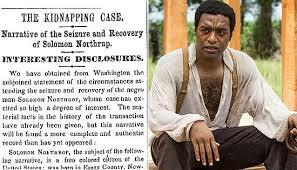 Other non-fiction that had an impact on me included Solomon Northup’s Twelve Years a Slave, which I read before I saw Steve McQueen’s harrowing and viscerally powerful film, and Dan Jacobson’s Heshel’s Kingdom, to which I was led by W G Sebald (in the final pages of Austerlitz). 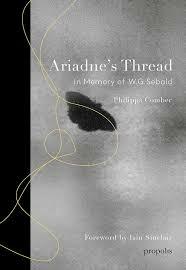 There was also Philippa Comber’s fascinating memoir of her friendship with Sebald, Ariadne’s Thread, another future blog, I hope. This entry was posted on December 22, 2014, 8:13 pm and is filed under Literature. You can follow any responses to this entry through RSS 2.0. You can leave a response, or trackback from your own site. Thanks for sharing this, Catherine. 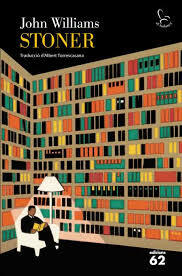 I look to reading Stoner at book group in 2015. There are plenty more titles there for me to put on my Amazon wish list too. 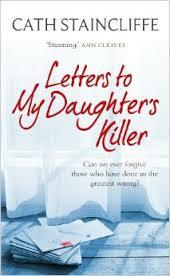 The ‘Letters to My Daughter’s Killer’ looks particularly intriguing! Letters to my daughter’s killer is a cracking read. I’d recommend any of Cath Staincliffe’s detective novels, but this one is a bit different, definitely one that stays in the mind after you’ve finished reading.